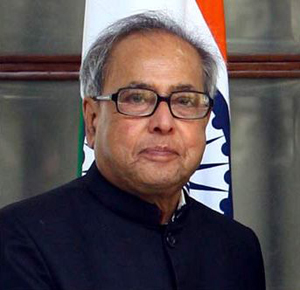 New Delhi : The President Pranab Mukherjee Saturday conveyed his greetings and felicitations to all the personnel of Indian Coast Guard on its 38th raising day Feb 1. "The President of India Pranab Mukherjee has extended his greetings and felicitations to all ranks of the Indian Coast Guard and their families on the occasion of 38th anniversary of Indian Coast Guard to be celebrated February 1, 2015," a Rashtrapati Bhavan statement said. In his message, the President Mukherjee said: "I am happy to learn that the Indian Coast Guard is celebrating its 38th anniversary Feb 1, 2015." The Coast Guard was set up Feb 1, 1977. "Over the years, the Indian Coast Guard has been valiantly serving the nation by ensuring the safety and security of fishermen and mariners as also guarding our long coastline and maritime borders. The personnel of the Indian Coast Guard have always risen to the occasion in the face of emerging maritime challenges and responded beyond the call of duty. I am sure that the Indian Coast Guard will continue to pursue excellence and discharge its duties with alacrity, dedication and professionalism," Mukharjee said in his message.